OMM Outfitters & the Historic Eagle Lake Sporting Camps offer great access for the fly fisherman, ice fisherman, or anyone who has a passion for fishing. Landlocked salmon reach perfection in these waters, weighing up to thirteen pounds, and the square-tail trout weigh up to six pounds. 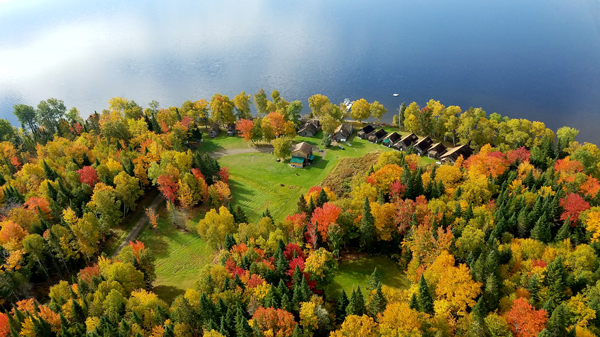 Since the early 1900's, sportsmen – even royalty – have travelled to the Eagle Lake Sporting Camps for world-class May salmon fishing along the Square Lake thoroughfare only a short walk from your cabin. Starting from Eagle Lake Camps one may go up Square Lake thoroughfare to the famous Salmon Pools, where the king of fresh-water fighters makes his annual sojourn of several weeks. Words cannot describe the extreme pleasure and deep satisfaction of getting one of these speckled silver beauties on fly or troll. In the Fish River chain of lakes both salmon and trout fishing are excellent in May, early June and September. Fishing continues to be good through July and August at Eagle Lake, because Long Lake, Mud Lake, Cross Lake and Square Lake flow into Eagle Lake through the Square Lake Thoroughfare; and Fish Lake, Portage Lake, St. Froid Lake, and all the Red River lakes flow into Eagle Lake on the south side, through Nadeau's Thoroughfare. 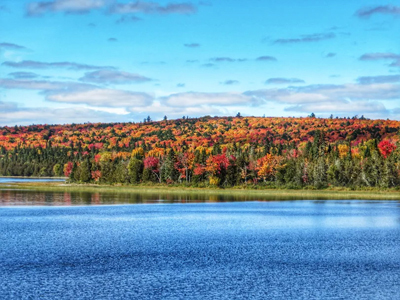 Eagle Lake is the outlet for them all, and is the largest and deepest of the chain of lakes, being twenty miles long and from one-half to two miles wide. 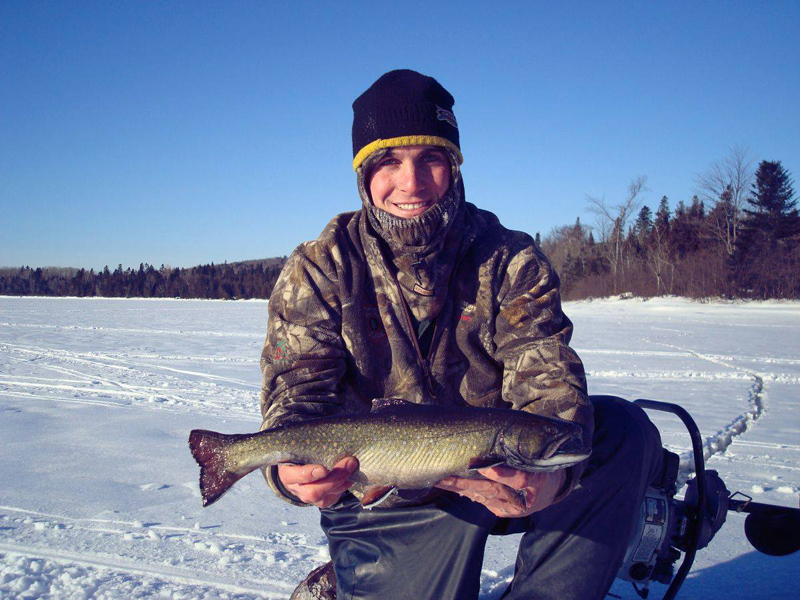 The camps are also a favorite spot for ice fishing. Streams and small ponds nearby are so productive that sportsmen seeking wild trout, if they wish, can change their fishing-grounds daily throughout their visit. During July and August, nearby cold spring brooks and mountain ponds are good choices for catching wild trout on flies.